Babblings of a Mommy: Stella Cove: Beach Chic For Women and Children. 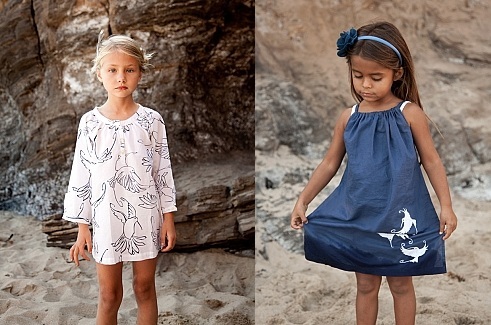 Stella Cove: Beach Chic For Women and Children. Hey there lovelies! This summer, if you're looking for a high-end swimwear line for you and the kiddies--Stella Cove might just be what you've been waiting for. 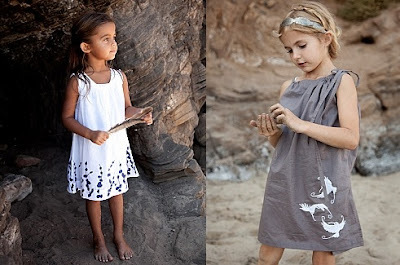 This brand features adorable matching swimwear for mother and daughter, like Space Cowboy. And not to be outdone--the boys collection features some uber cute boy shorts like this ducky design called Jemima P.
But what do I like even more than their cute swimwear and awesome names (like Johnny Depp, and Sergeant Pepper)? Their gorgeous dresses and cover-ups for girls! Totally adorable and beachy chic. Love 'em!